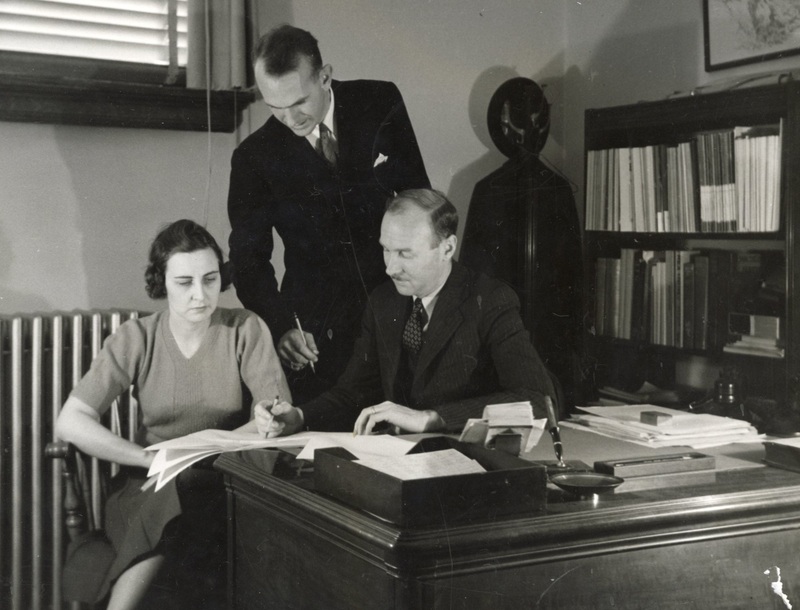 From Left to Right: Evelyn Watts, secretary to the Library Director; Grinton I. Will, Library Directory; Harold L. Hamill, Assistant Library Director. The photograph was taken in 1938. 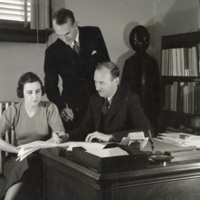 Yonkers Public Library, “Yonkers Public Library Administration Signing Paperwork,” Yonkers Public Library Archive, accessed April 23, 2019, http://archive.ypl.org/items/show/204.